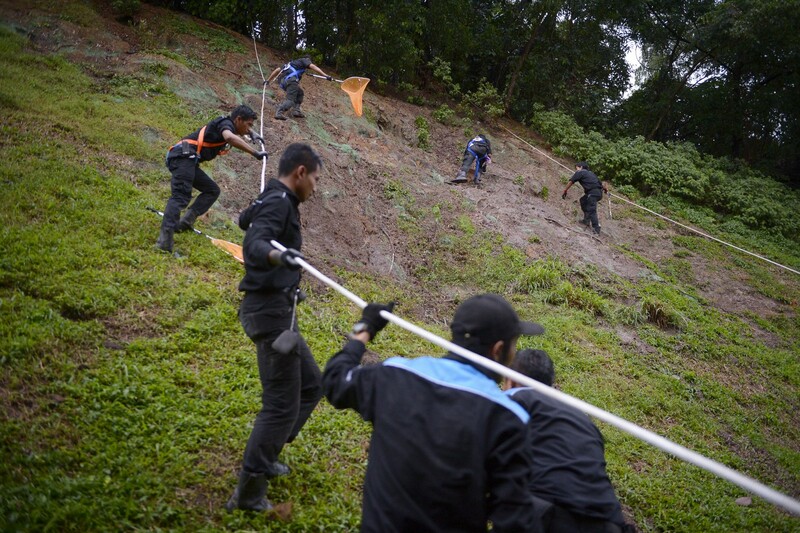 Update: Rat-catching operations began in Bukit Batok on Thursday morning, The Straits Times reported, after a Facebook video of rats running wild went viral. 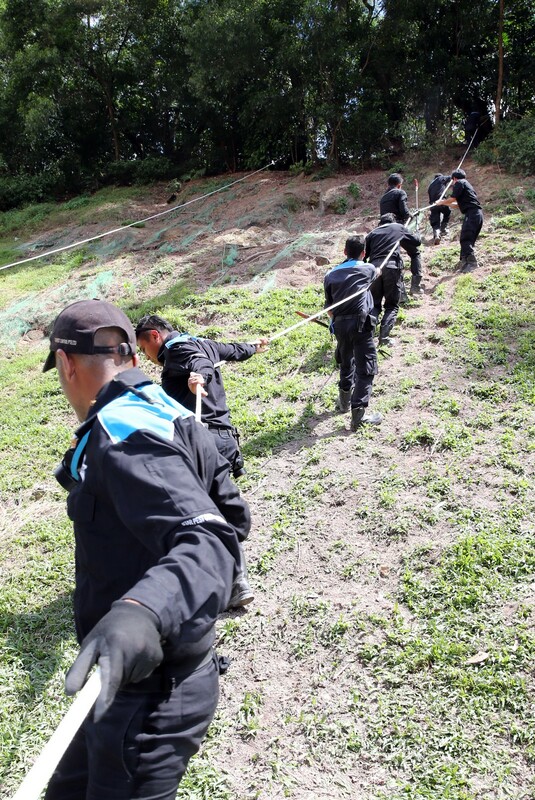 Pest control officers were seen climbing up the side of the hill to inspect rat burrows at the top. 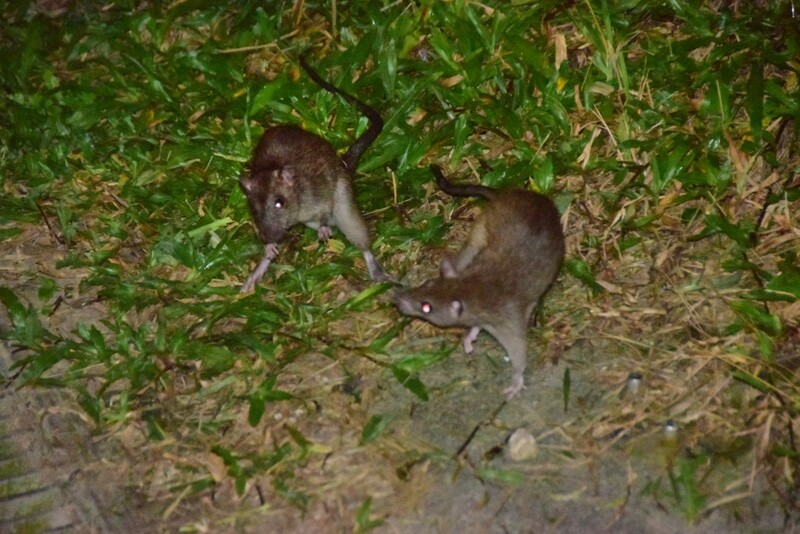 SINGAPORE - First it was 10 rats, then 20 on another day, then one night, commuter Madam Lin spotted more than 30 rats scurrying about the grass patch next to the Bukit Batok MRT station. 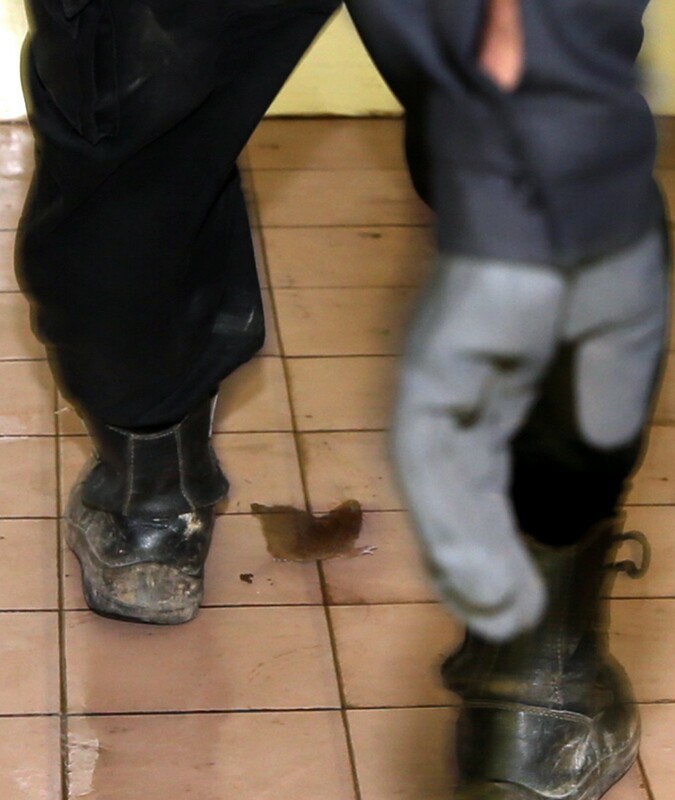 Madam Lin, 48, a technician, called Lianhe Wanbao's hotline about the rat infestation last Wednesday. She told the Chinese evening daily about witnessing rats scurrying up and down the grassy slopes beside the station daily for about a month. She is not the only one. 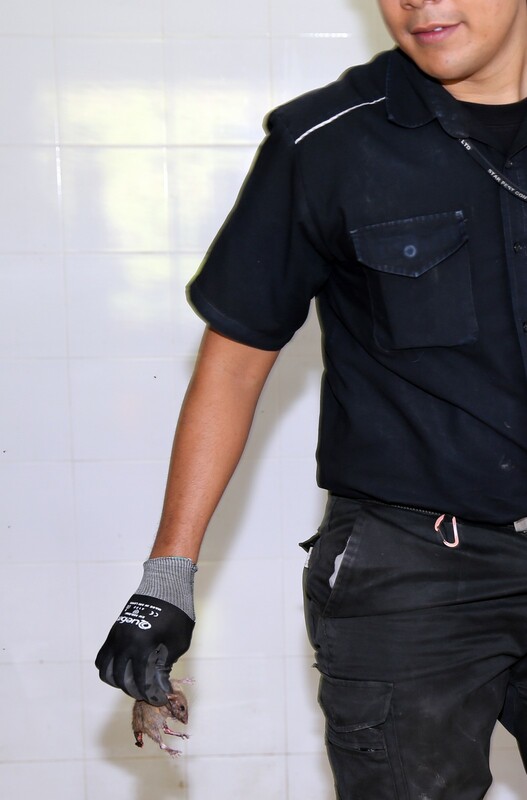 The Straits Times reported today (Dec 17) that another Bukit Batok resident, Mr Ryan Keith Smith, complained about the situation on his Facebook page. 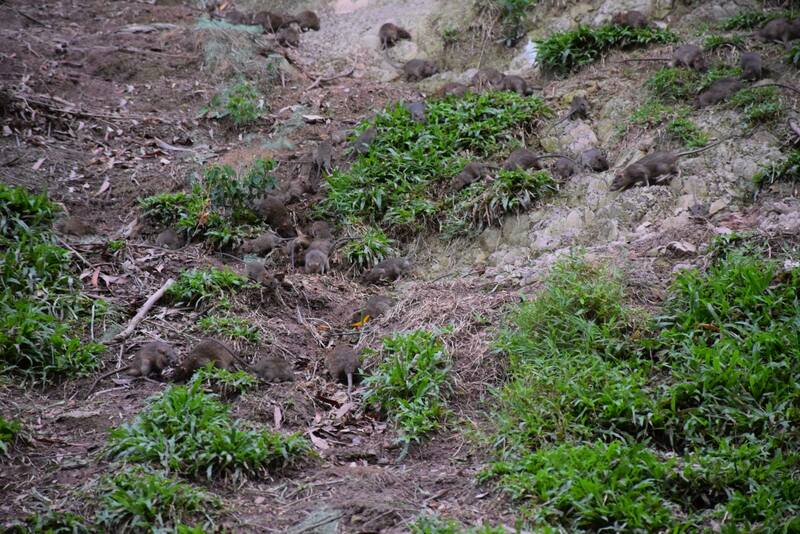 Mr Smith uploaded pictures and a video of the rats on Dec 16. 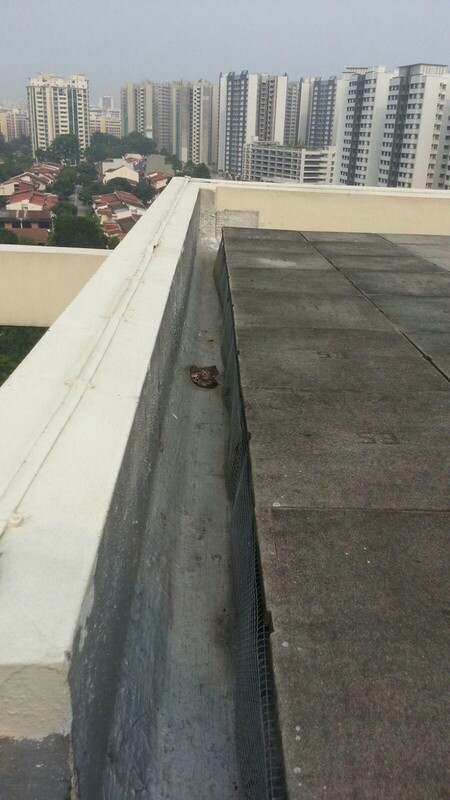 Restaurant manager Chris Ng did not think he would have problems with rats as his home is on the top storey of a 12-storey HDB block at Choa Chu Kang Avenue 2. But he was horrified when he discovered three rats - two in his kitchen and one in his living room last Tuesday night. Mr Ng said the rats had eaten through a loaf of bread left on his kitchen table. He called the Town Council the next day to report the issue, who sent a pest controller to his home a week later. The rats weren't small. 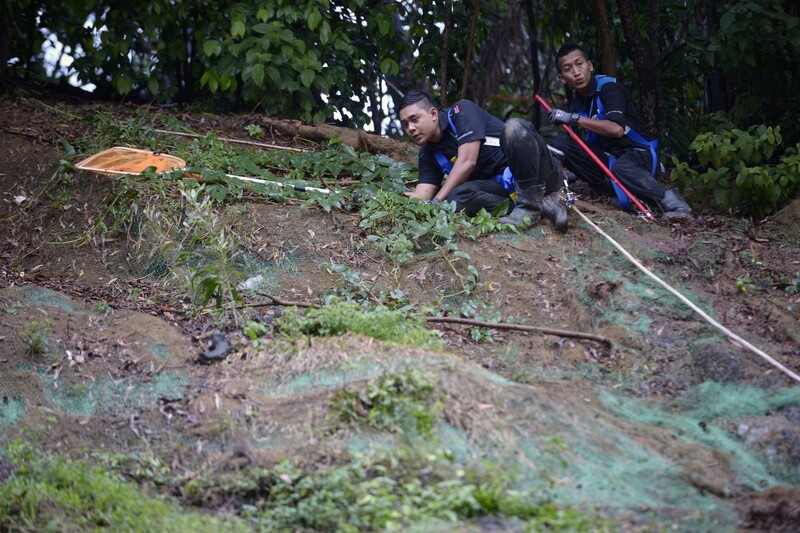 "They were at least about 6 inches (15cm) in length," he said. 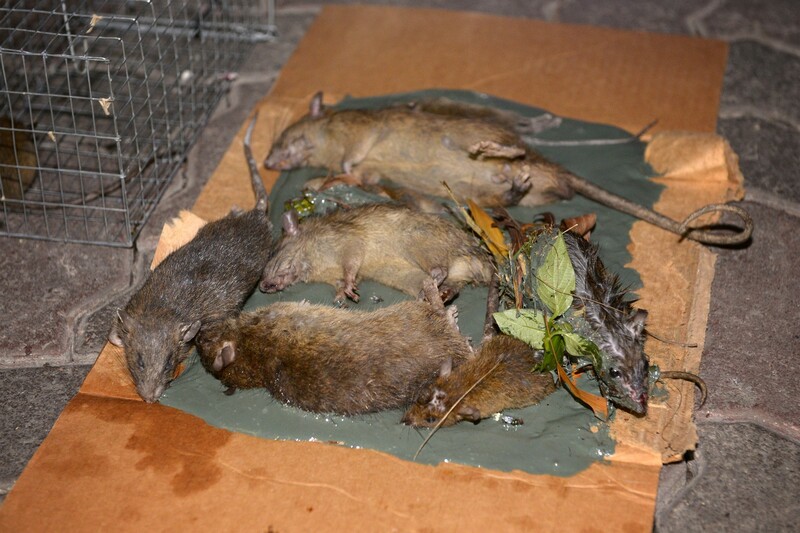 The town council set glue traps but did not catch all the rats. 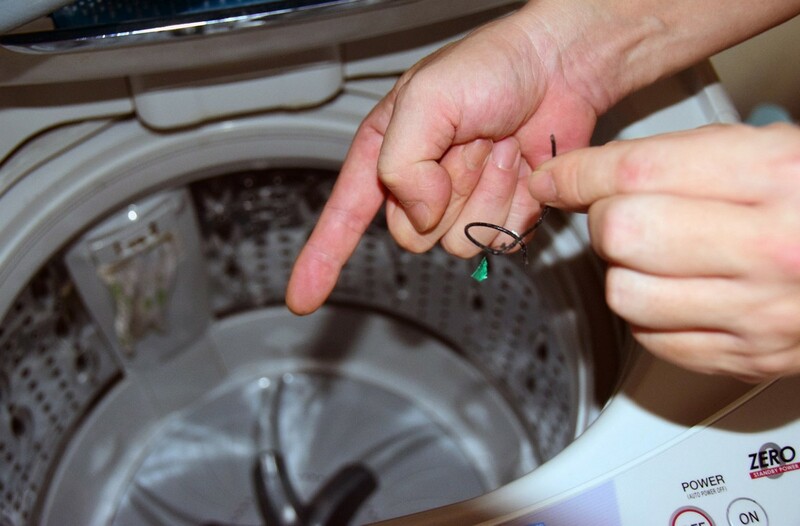 Meanwhile, some wiring in his home was chewed through, affecting his washing machine, claimed Mr Ng. 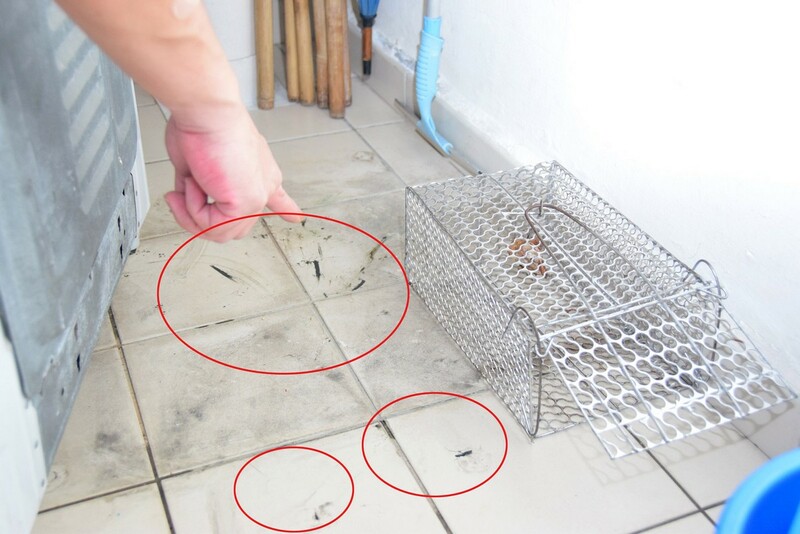 Before Mr Ng's feedback, CCKTC uncovered two rat burrows in the area during regular maintenance works. Both burrows are being treated. 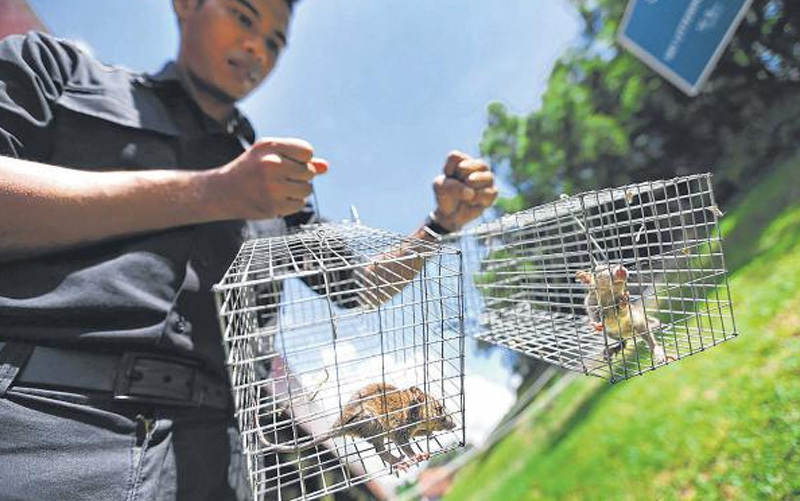 They will also issue notices to residents, "advising them on the dos and don'ts to minimise rodent population". 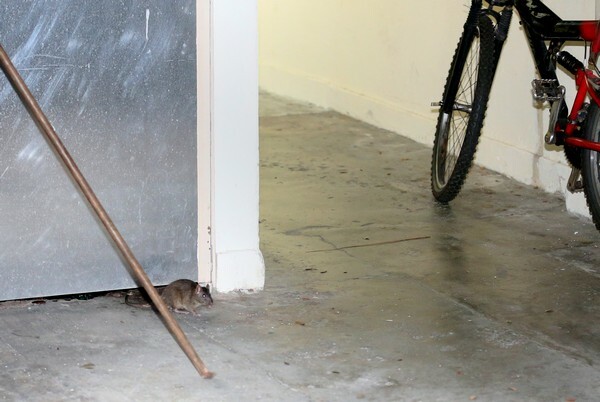 There is a war in Bukit Batok Avenue 8 between residents and rats. These are no tunnel rats. 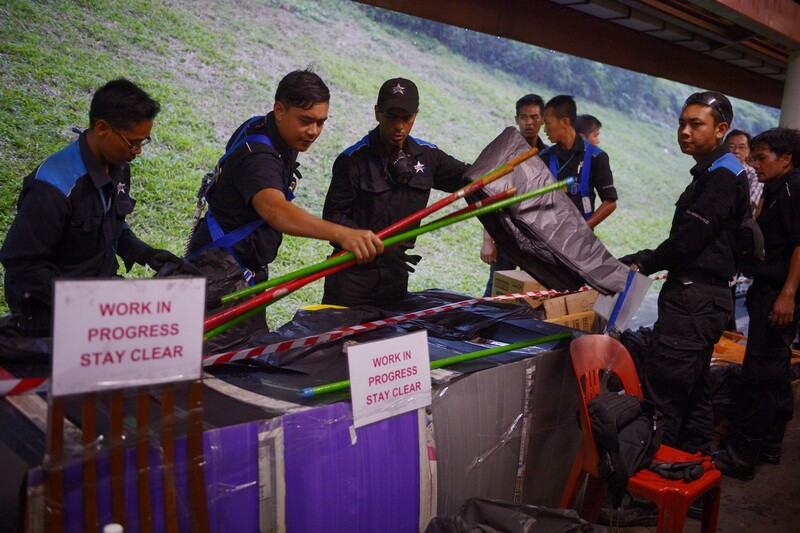 They are in your face and they have invaded HDB flats, with some even breaching the defences put up by families and shopkeepers. The wily rodents have repeatedly outwitted humans and made their presence felt not just in dark alleys but in well-lit corridors and other areas as well. 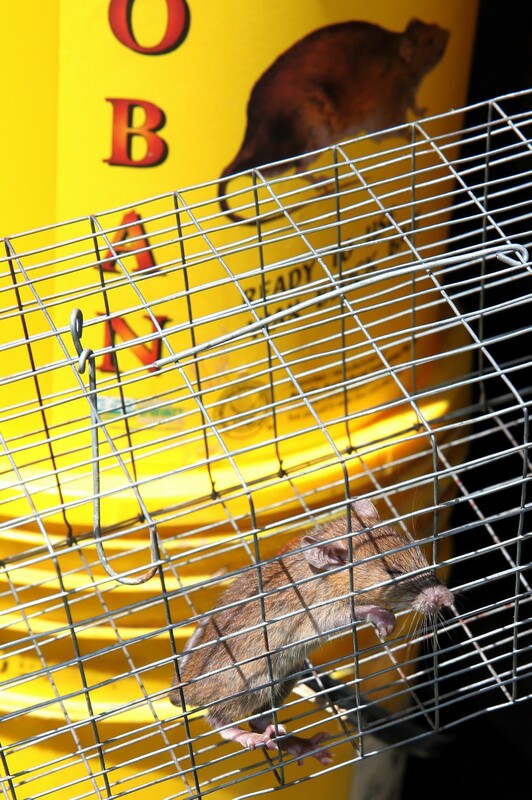 Residents and shopkeepers are unsure how they are going to keep the rats out for good. Some have fortified their homes and shops. Others have built fences and set traps. And there are those who have placed potted plants over fist-sized holes in grass patches surrounding Blocks 165, 166 and 167. 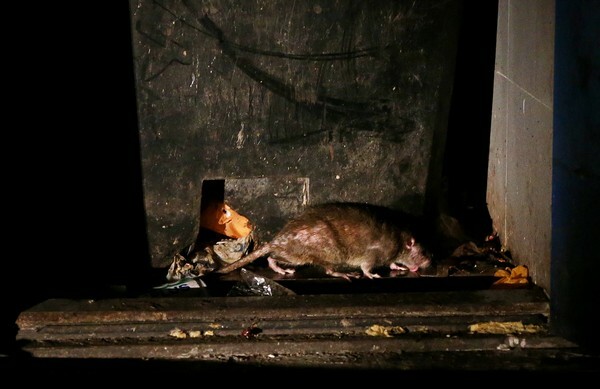 A first-storey resident of Block 165, who gave her name only as Madam Devi, 62, told The New Paper: "There have been more of them rats since November 2014. Sometimes, I see them in the day." 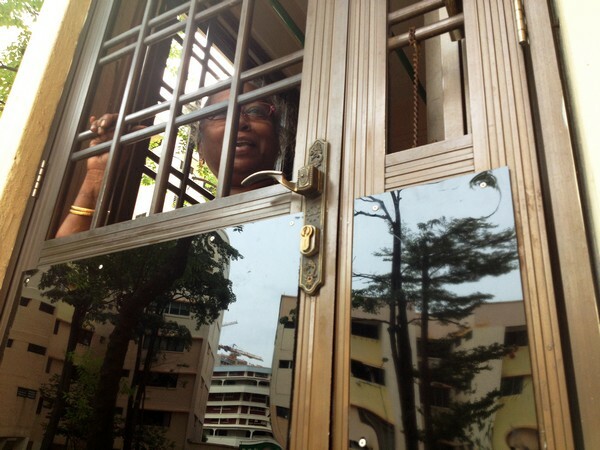 Madam Devi said that over the years, she has seen pest controllers covering rat burrows behind her flat. But the rats appear bolder now. Ms Yvonne Ng, an incense shop retailer had been sitting at her desk when she noticed something near her legs. "I didn’t notice the rat until it passed between my feet. I jumped up from my seat and screamed," she said. When TNP visited the estate two weekends ago, we noticed eyes peering at us from an open rubbish chute. 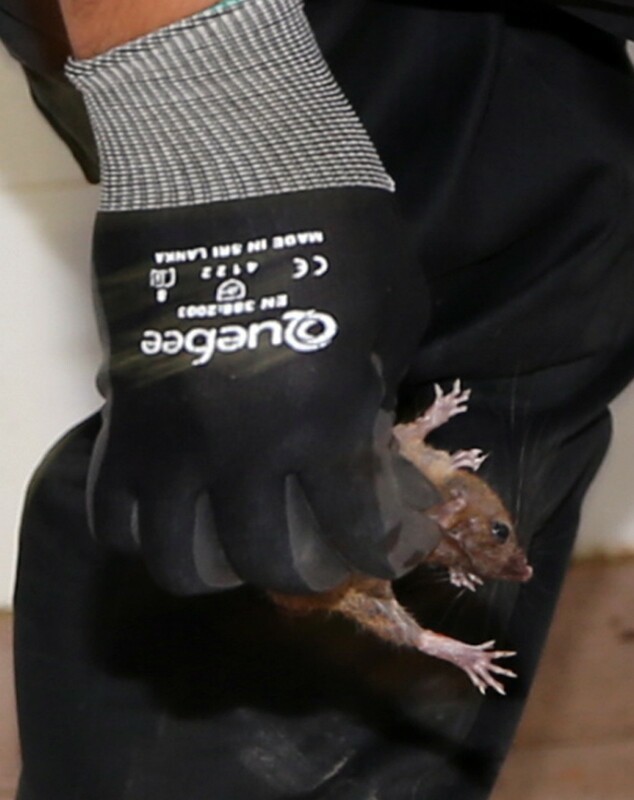 The 15 or so heavily-scarred rats were observed to be frequently entering a unit formerly occupied by the Giant supermarket chain at Block 166. Dog lovers have rebutted authorities, saying that the recent rats infestation near Bukit Batok MRT station was not caused by feeding stray dogs. 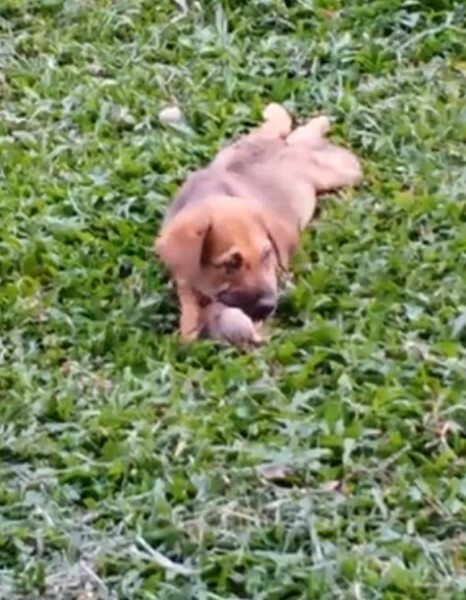 A contributor alerter citizen journalism website Stomp to a video posted by user Karen Koh on Facebook, in which stray puppies were seen feasting on the rats. 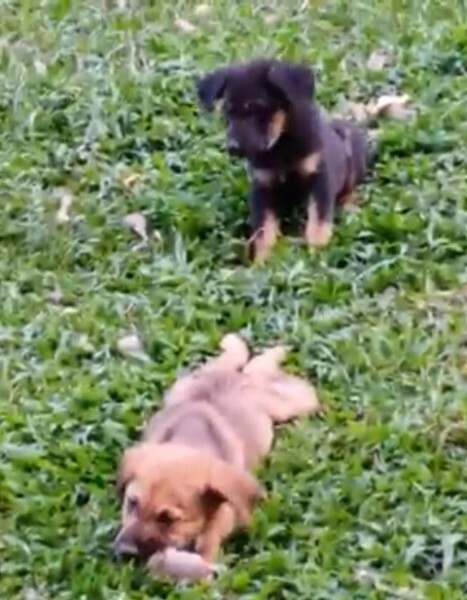 The Facebook description pleads the case for the strays. It says that they have barely enough food to eat and have always finished what they were given. 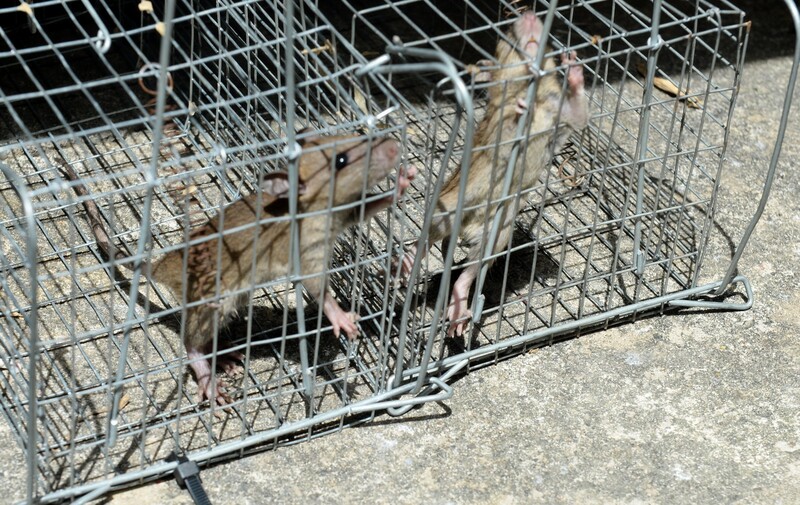 In fact, they were so hungry they would eat the rats and help control the pest population. 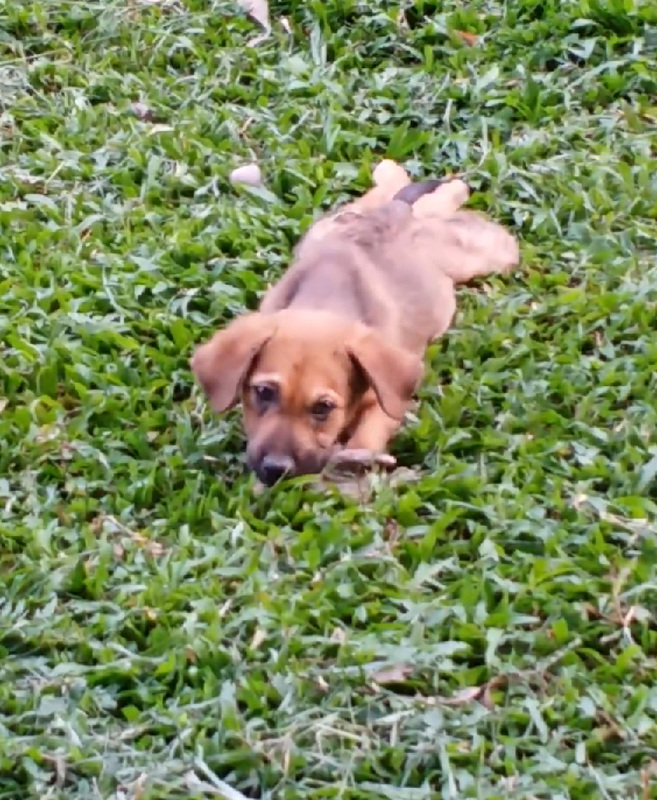 The user, Karen, explains : "I feed the BB Strays whenever I pass by, i can only say that they were so hungry they wiped out the food in less than one minute." "How can they say that the strays are leaving food rubbish and caused the infestation of rats?? They don't even have enough food to eat! They're all starving!" 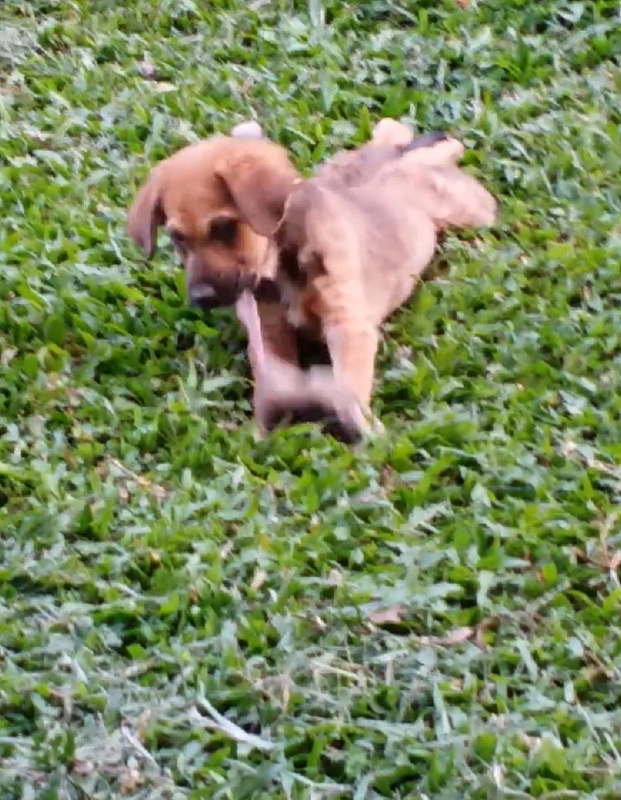 ""In fact the strays are helping to eat up the rats," she added. 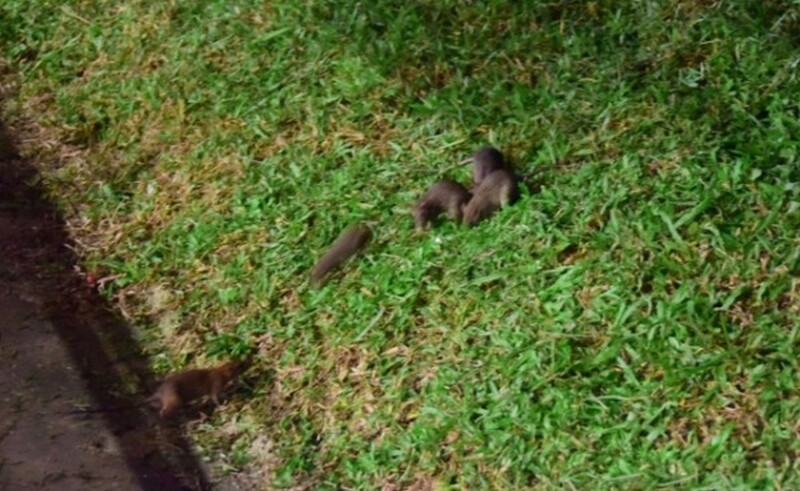 Last week, several commuters and Stomper have spotted more than 30 rats scurrying about the grass patch next to the Bukit Batok MRT station. 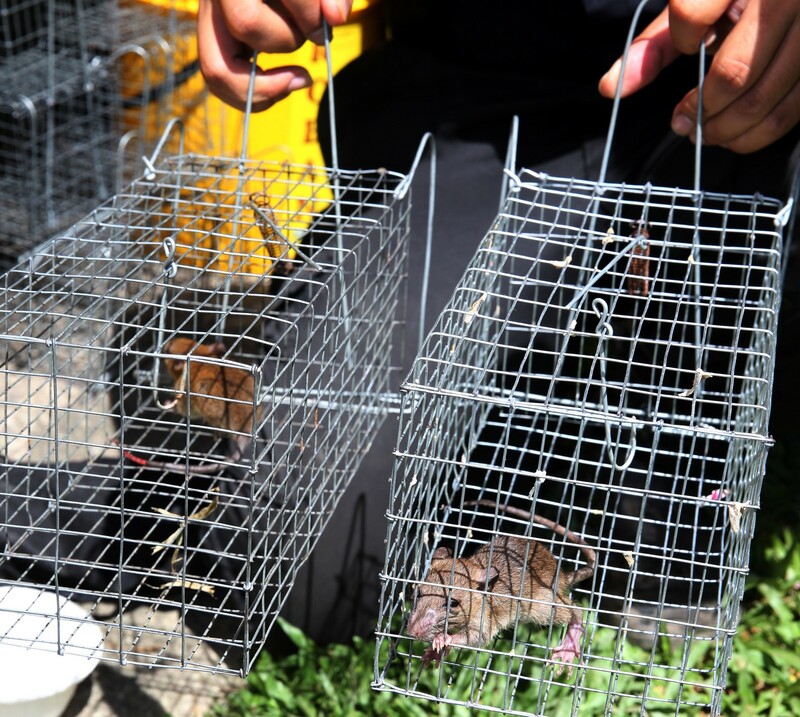 Authorities had said, "Rodents will proliferate whenever food sources are available, due to improper disposal of food or leftovers from the feeding of strays." 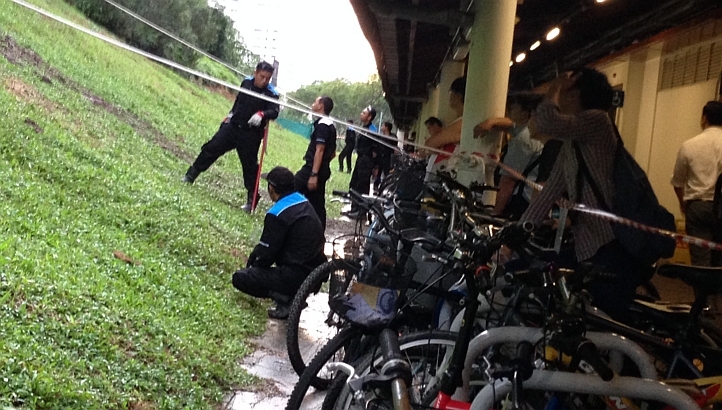 It was man versus rat last evening along the grassy slope beside Bukit Batok MRT Station. 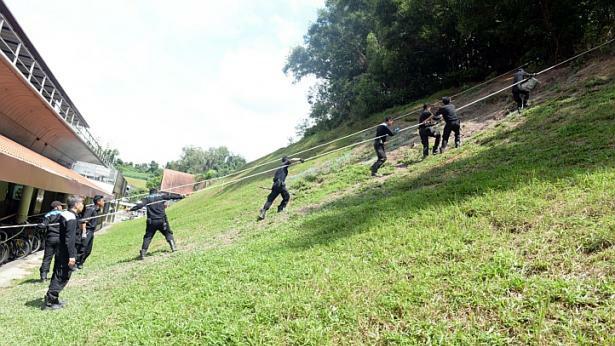 22 officers from Star Pest Control were spread out on the slope with orange nets, clamp sticks, ropes and safety harnesses. Over a hundred curious onlookers gathered to watch the pest busters kill the rodents. Evening is when the rats usually emerge to look for food. As a light drizzle eased, the men put the dead rats they had caught into their nets. 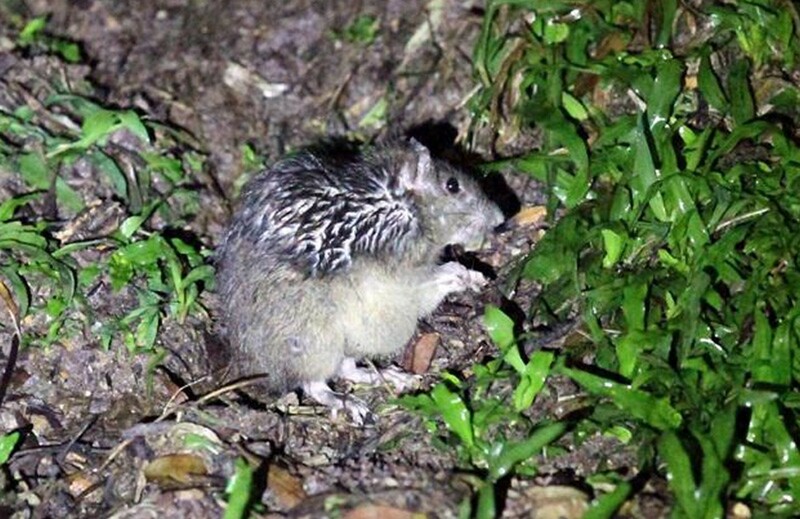 Even then, other rats were seen coming out of their burrows and scampering around them. 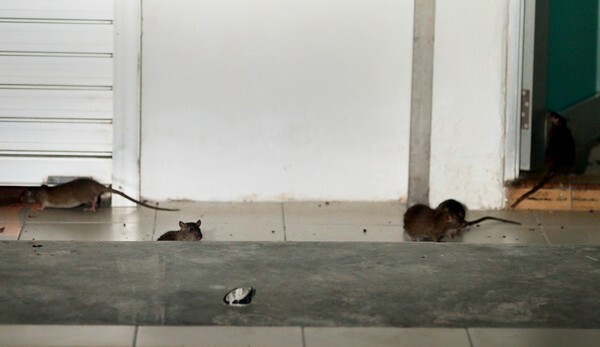 The pest busters were on a "search and destroy mission" against the rats. 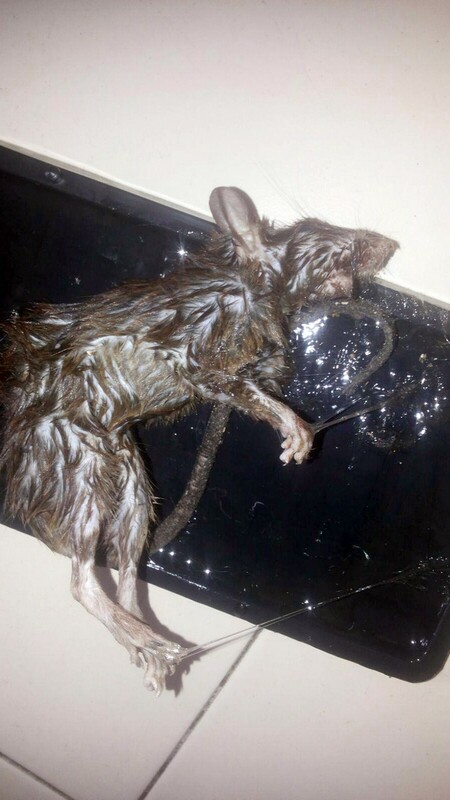 This came after military simulation operator and Facebook user Ryan Keith Smith, 33, posted a video and photos of the rats online on Tuesday. 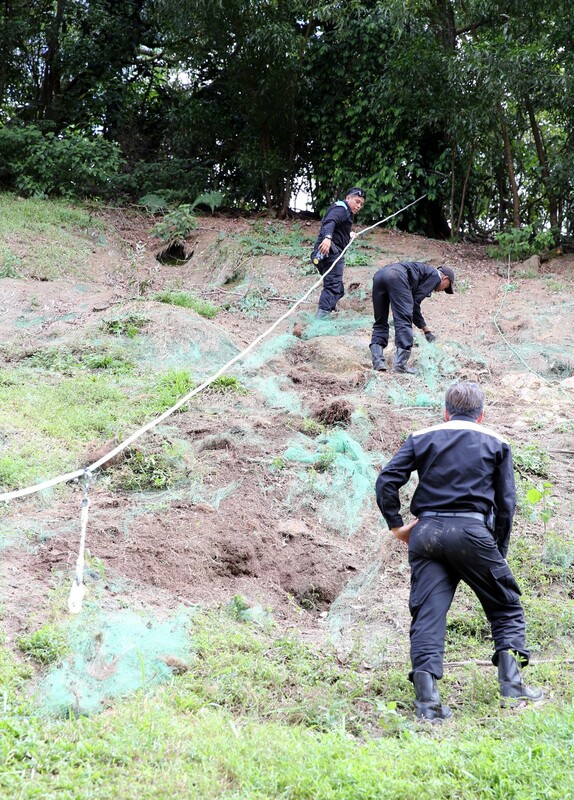 Star Pest Control general manager Bernard Chan said the rats' burrows were spread out across the top of the hill, across an area half the size of a football field. 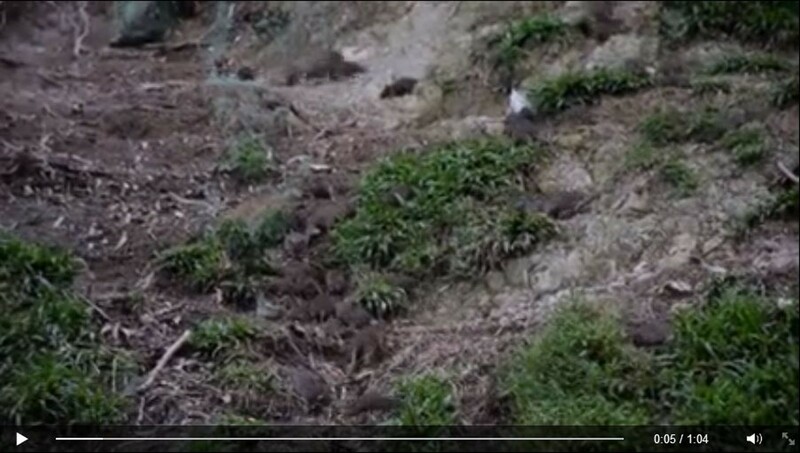 Bait containing rat poison was placed outside the burrows. 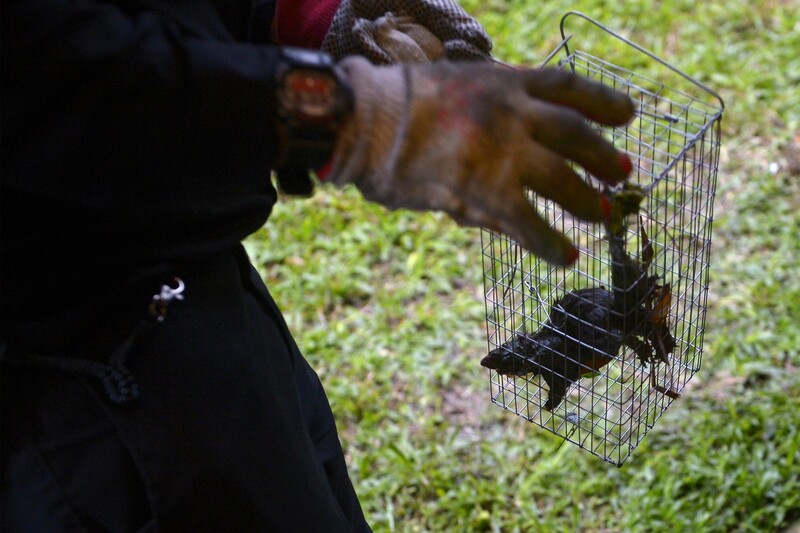 As of 8pm last night, Mr Chan said that his team had killed and caught about 15 rats. 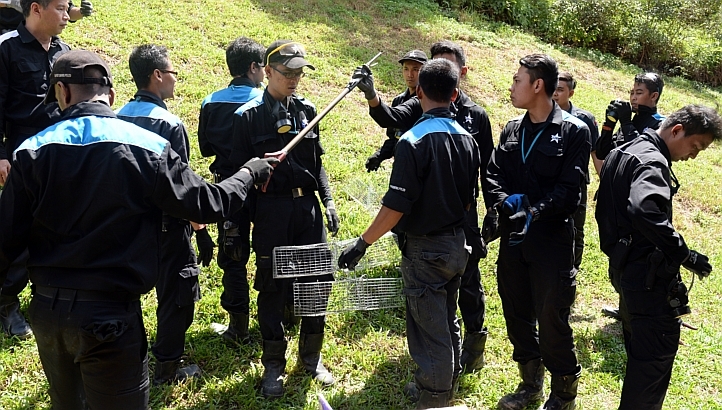 He said the rain might have deterred many rats from emerging. 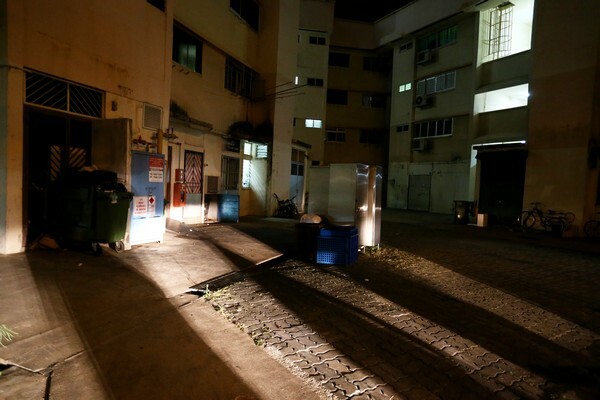 The Housing Board, National Environment Agency, Agri-Food & Veterinary Authority, and Jurong Town Council issued a joint statement on the matter last night. 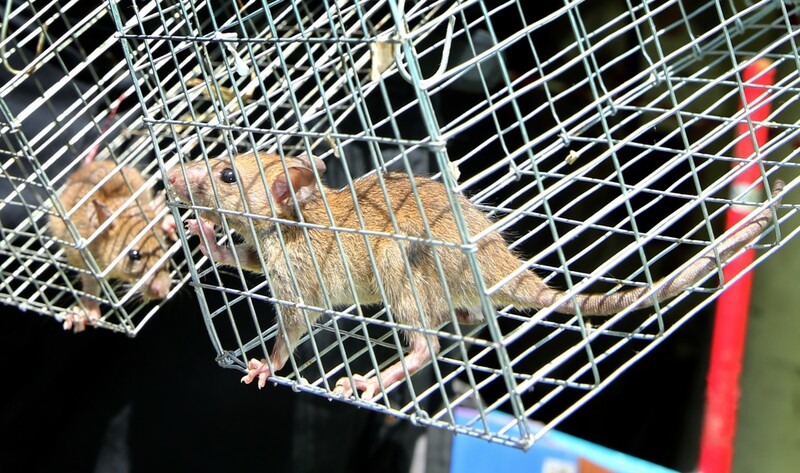 They said that "continuous indiscriminate feeding of dogs in the area by feeders" had resulted in the rat issue in recent months. 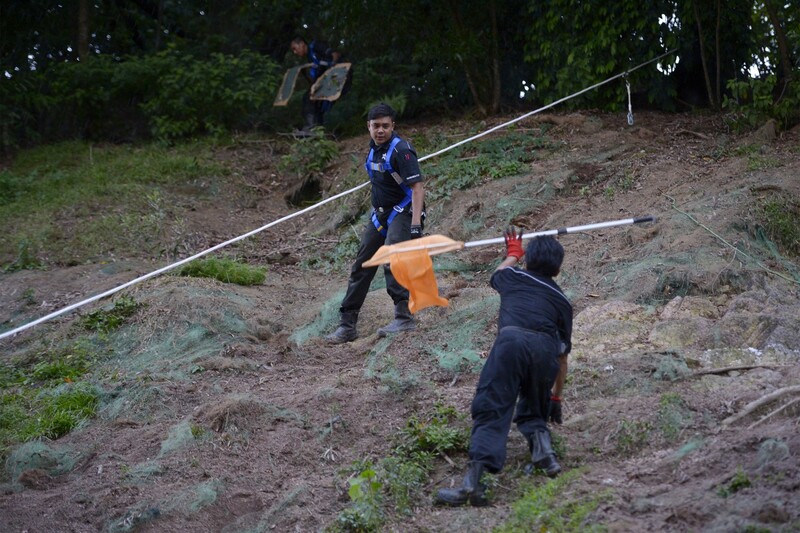 According to Shin Min Daily News, a total of 22 men were deployed to Bukit Batok, armed with rat traps and poison. 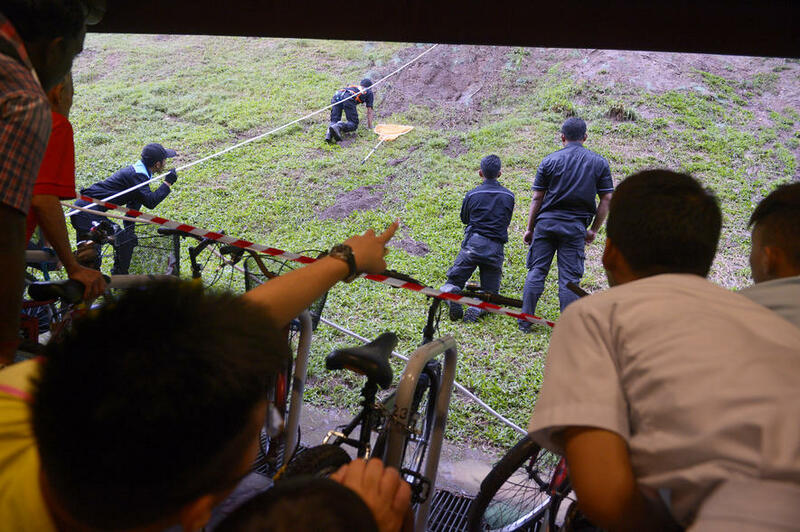 The Straits Times reported that at leastr 10 men from Star Pest Control spread out on the grassy slope beside the station on Thursday with orange nets, sticks, ropes and safety harnesses. 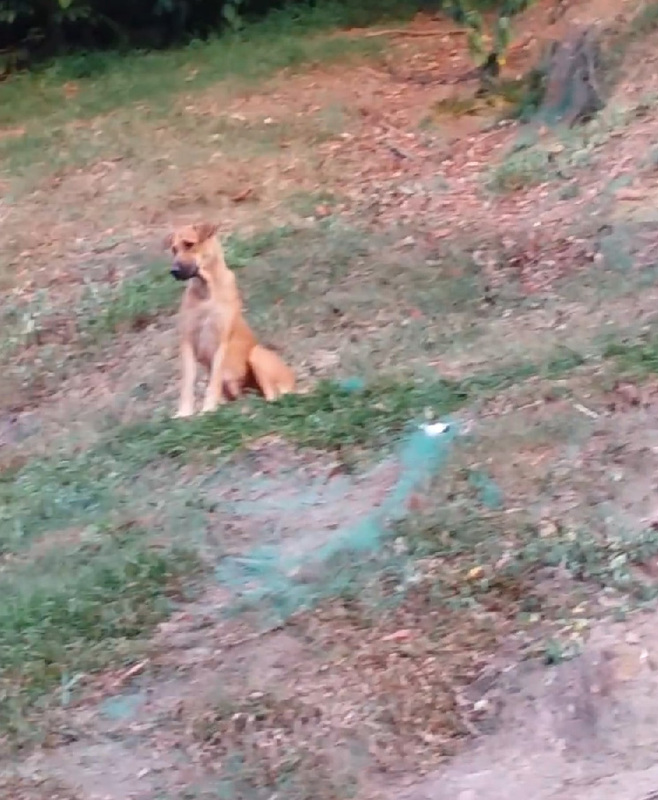 In a video uploaded on YouTube, pest busters are seen picking up what looked like dead rats from the side of the hill. 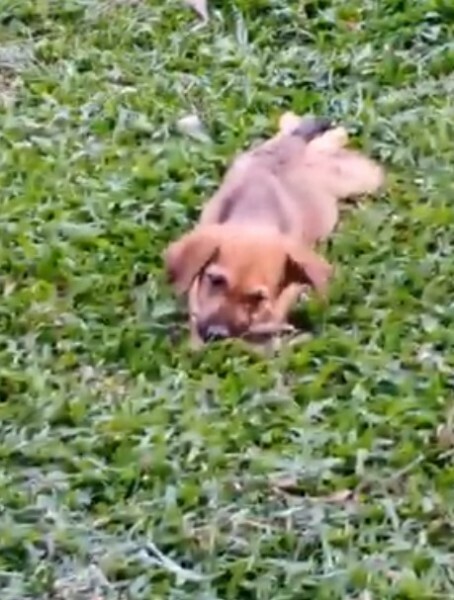 In another video, the men lay in wait as rats scurried around them. 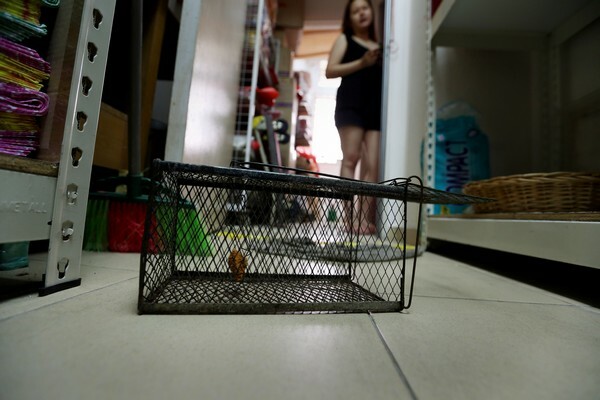 Residents in the area had complained of a rat infestation which had gotten worse in recent days, according to Lianhe Wanbao. 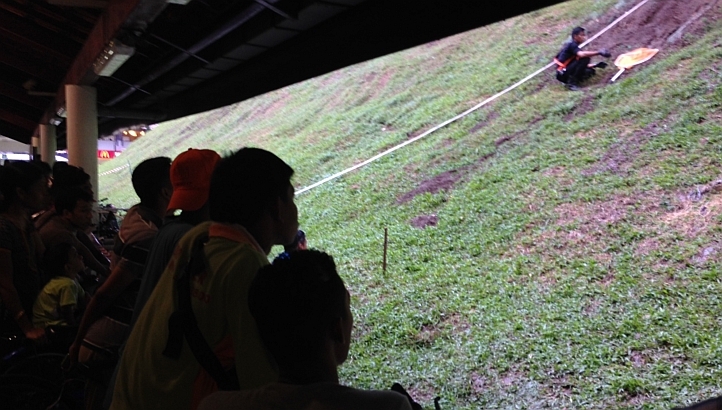 The Chinese evening daily also reported that four injured puppies were rescued from the slopes. 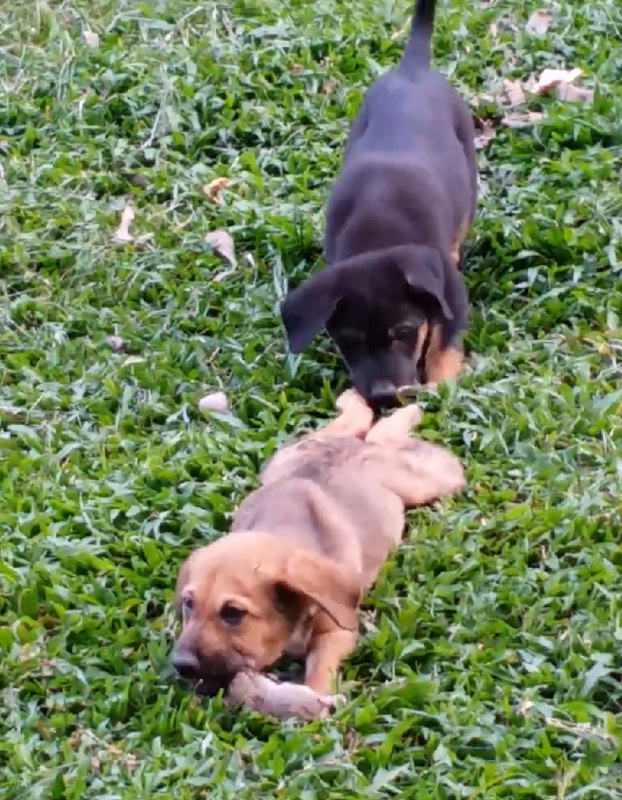 The puppies' wounds are believed to have been inflicted by the rats. 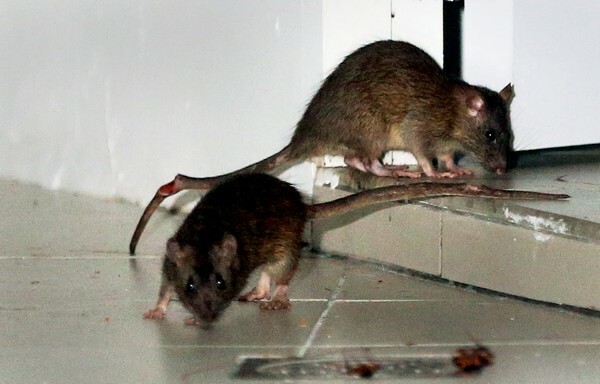 According to a joint statement from the AVA, HDB, NEA and the Jurong Town Council, rat infestations will not stop unless people stop feeding stray dogs and leaving food around for the rodents to feast on. 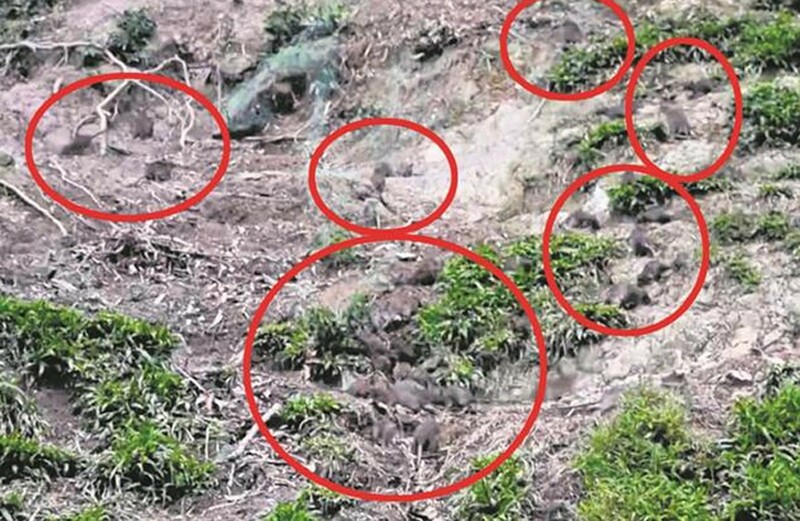 The manager of the pest control agency told Shin Min Daily News that area has been laid with rat bait laced with a slow-acting poison which will take several days to take effect. 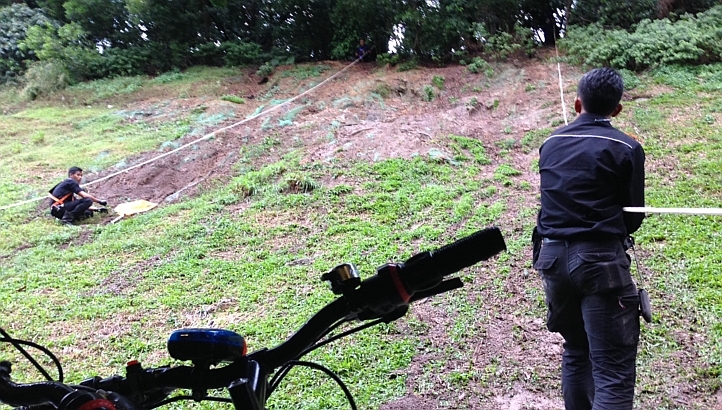 The land on which the infestation occurred is state land, managed by HDB for the Singapore Land Authority. A 10-man team was spotted clearing out rats at a grassy knoll beside the Bukit Batok MRT station, The Straits Times reported. 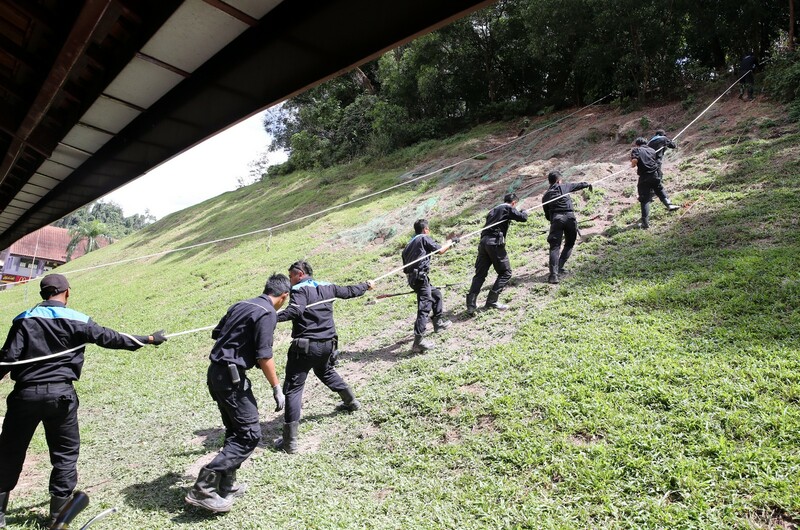 Pest control officers were seen inspecting the site on Thurs morning. 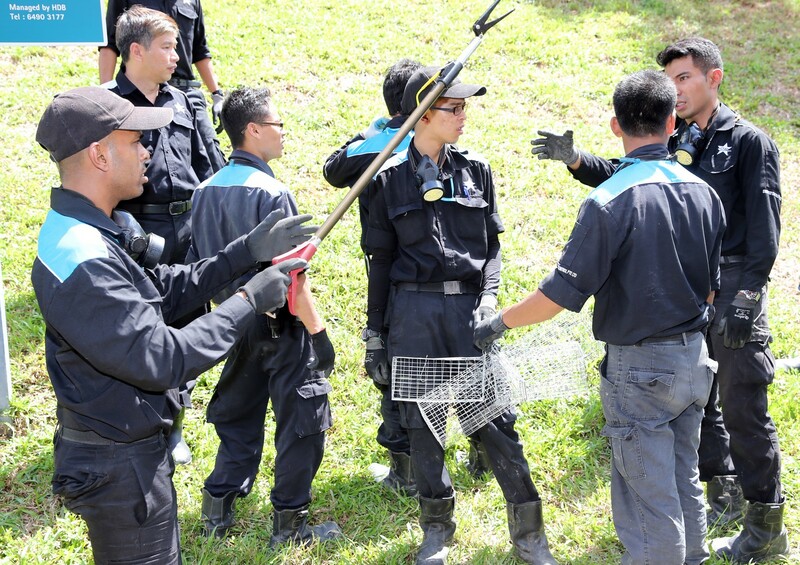 However, according to Shin Min Daily News, the operation had the combined effort of 22 pest busters. 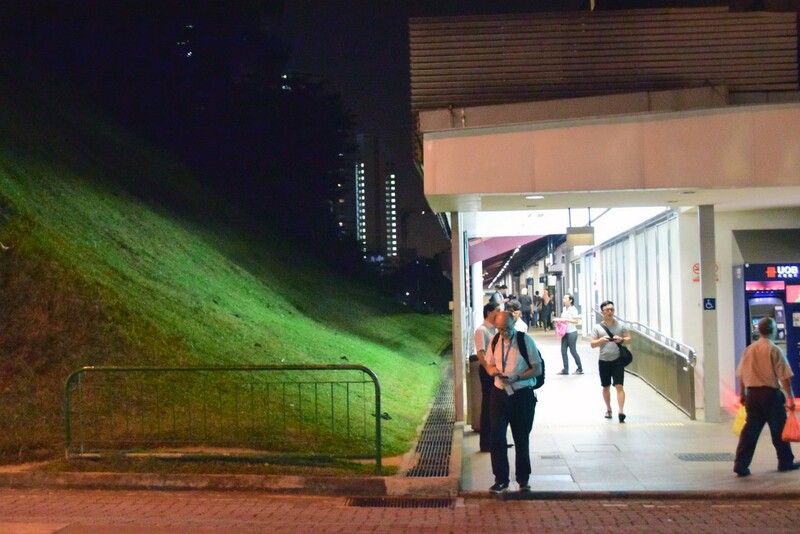 A Facebook video showing rats scurrying around the grassy hill beside Bukit Batok MRT station went viral. 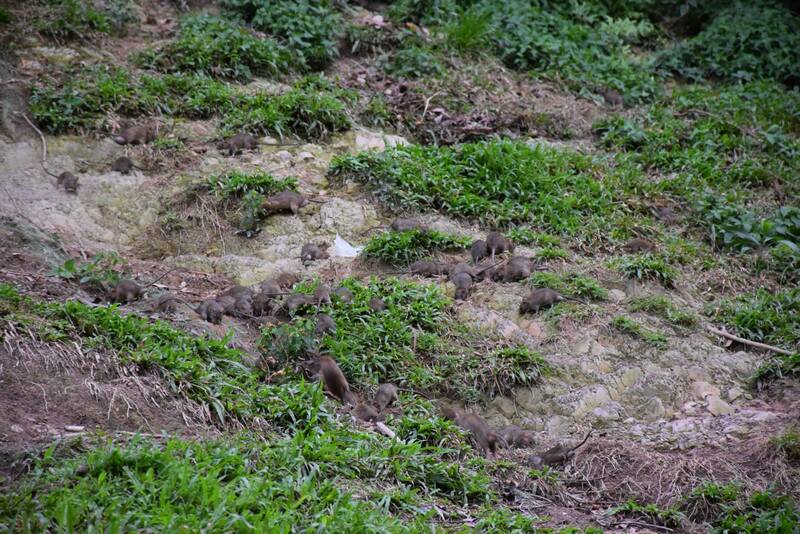 A video of more than 30 rats scurrying around on a sandy patch next to the Bukit Batok MRT station has caused concern among some netizens, The Straits Times reported. First it was 10 rats, then 20 on another day, then one night, commuter Madam Lin spotted more than 30 rats scurrying about the grass patch next to the Bukit Batok MRT station. 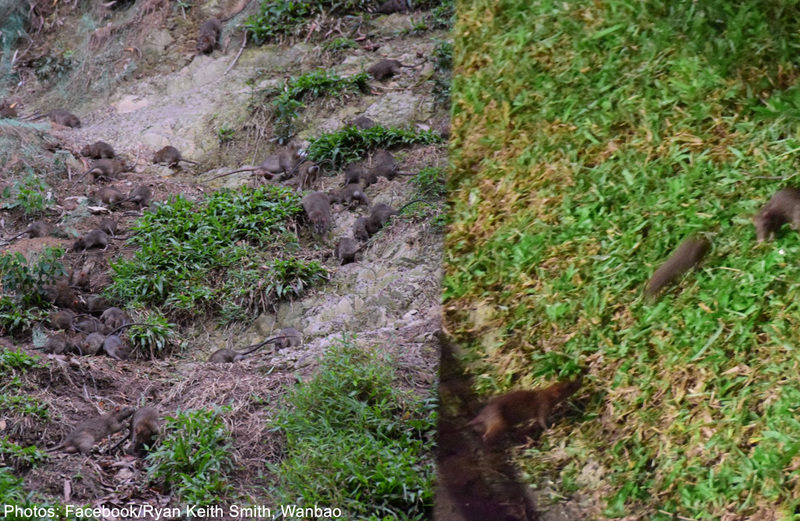 Madam Lin, 48, a technician, called Lianhe Wanbao's hotline about witnessing rats scurrying up and down the grassy slopes beside the station daily for about a month. The Straits Times reported today (Dec 17) that another Bukit Batok resident, Mr Ryan Keith Smith, complained about the situation on his Facebook page. 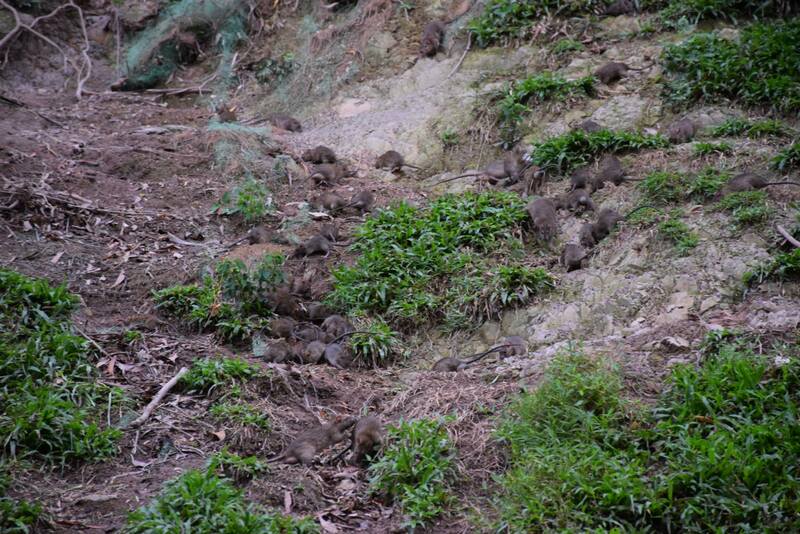 Mr Smith uploaded pictures and a video of the rats on Dec 16. 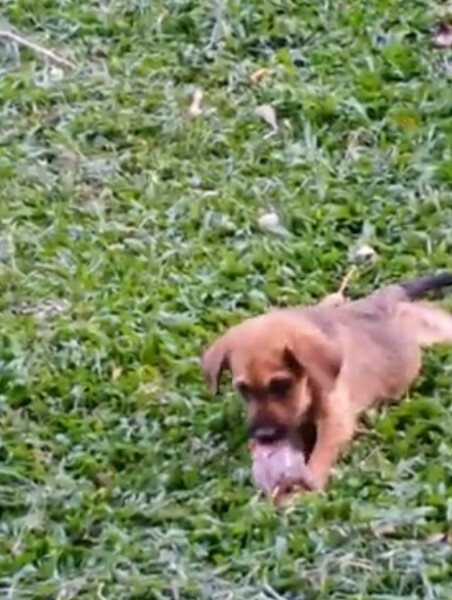 The harrowing video shows rats running wild in broad daylight. 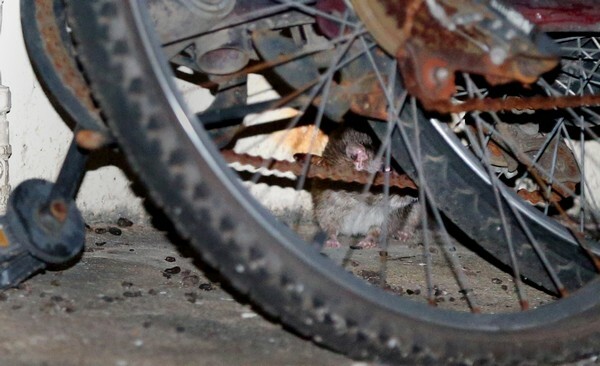 According to The Straits Times and a screengrab in one of his comments on the page, Mr Smith e-mailed photos of the rats to several parties, including the Choa Chu Kang Town Council, the National Environment Agency and MPs who serve in the constituency. 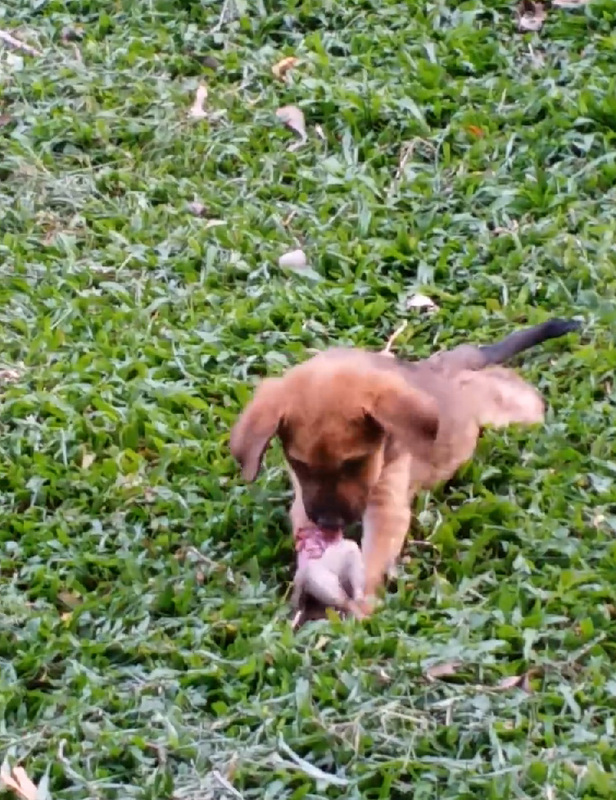 The harrowing video shows rats running wild in broad daylight. 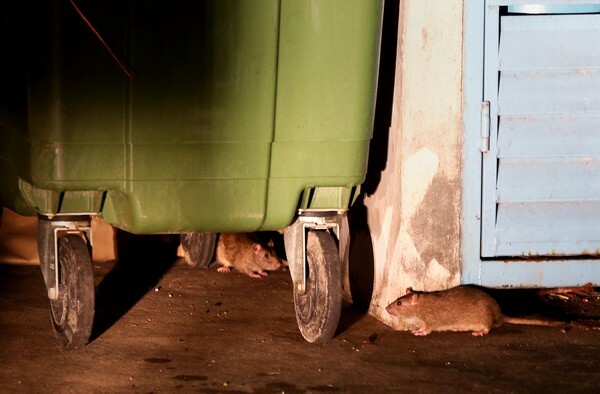 According to The Straits Times and a screengrab in one of his comments on the page, Mr Smith e-mailed photos of the rats to town council authorities, the National Environment Agency as well as several MPs who serve in the constituency. 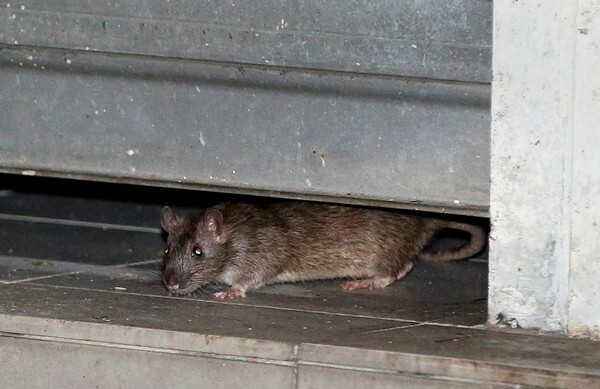 In the Facebook post showing the colony of rats, he wrote: "Imagine these rats nightly intrusion into all the eateries and supermarkets in the vicinity in order to survive and procreate. 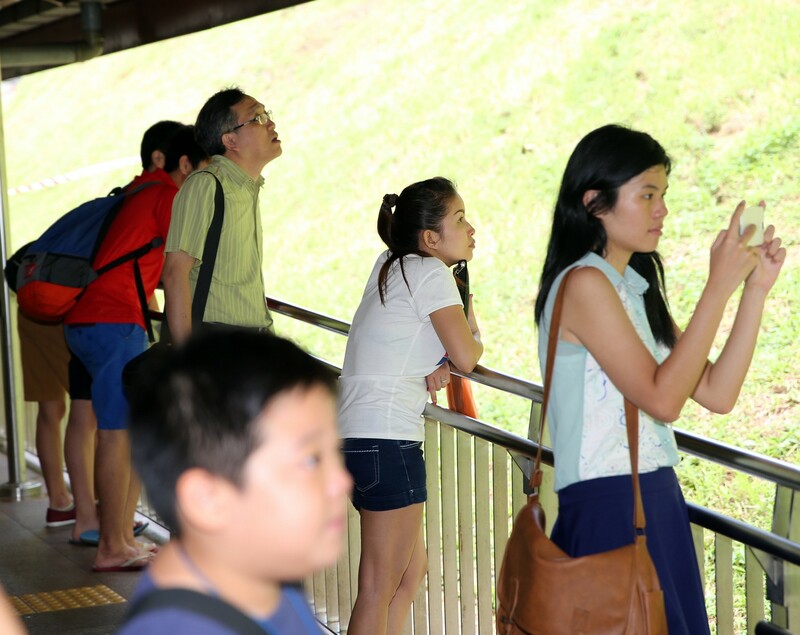 "Our Government would be really proud if these are part of our population headcounts to 6.9 million and counting... Am sure Hong Kah North Town Council needs the help of Pied Piper." 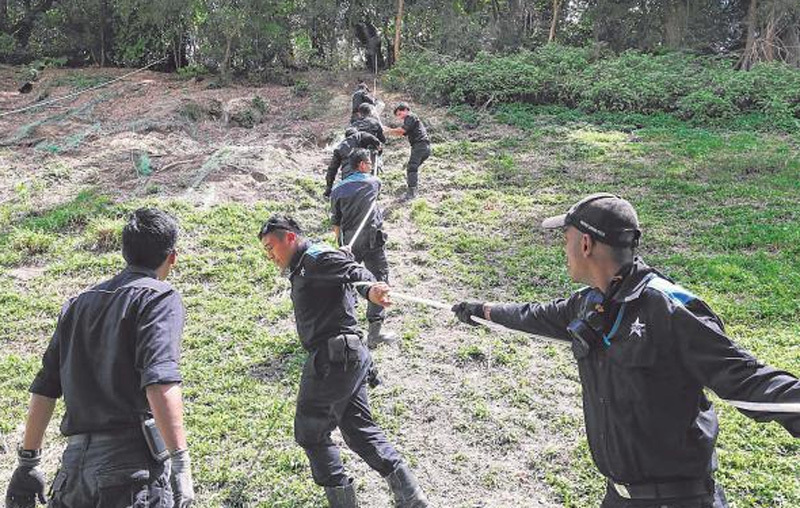 According to Wanbao last week, the grassy slopes have become a "rats' playground", with residents saying the situation has worsened in recent days.